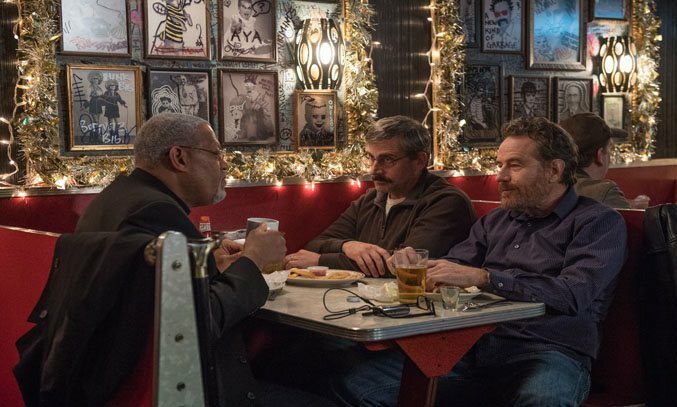 Richard Linklater’s ruminative comedy LAST FLAG FLYING heads to the BFI London Film Festival following its world premiere at the New York Film Festival last month. LAST FLAG FLYING tells the story of three Vietnam veterans as they travel from Virginia to Portsmouth. Thirty years after they served together, former Navy Corpsman Larry ‘Doc’ Shepherd (Steve Carell) re-unites with his old buddies, former Marines Sal Nealon (Bryan Cranston) and Reverend Richard Mueller (Laurence Fishburne), to bury his son, a young Marine killed in the Iraq War. Alternately serious and comedic, LAST FLAG FLYING is a sombre meditation on the friendship, loss and futility of war. Based on the eponymous novel by co-script writer Darryl Ponicsan, the film is a loose sequel to Hal Ashby’s THE LAST DETAIL, bridging the gap between the Vietnam and Iraq wars. The film attempts to highlight the humour, pathos, and universality in soldiers’ experiences – both in and out of war – and provokes many questions and beliefs that arise in the wake of tragic loss. The story subsists largely on the strength of its leads, all of whom turn in nuanced and entertaining performances. Carell excels as Doc in what is arguably his most tender performance yet, showing every inch of heartbreak on his face without the need for words. Bryan Cranston‘s loud and boisterous performance as alcoholic bartender Sal provides the most comic relief, although admittedly, his character is a lot to handle. Laurence Fishburne also delivers a stirling performance as Rev. Richard Mueller, bestowing wisdom and hope in one scene, and erupting with the fury of his “former self” in the next. 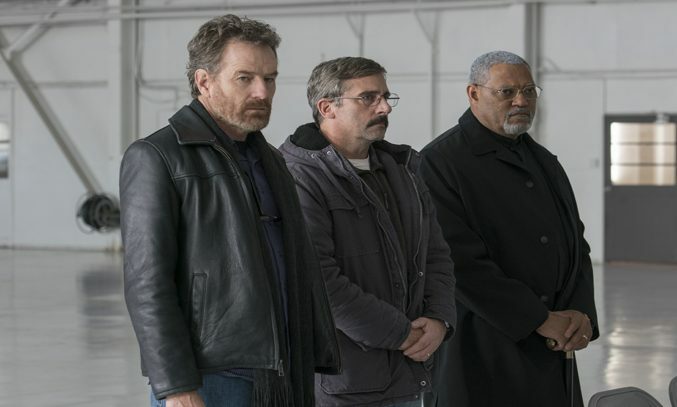 Yet while Cranston, Carell and Fishburne are a joy to watch, LAST FLAG FLYING never quite rises to the heights that it should. Some of the dialogue scenes drag on for longer than necessary and become a little repetitive after a while. As soon as the script hits political territory, the discourse also becomes more effortful, clumsy and staged. That said, there are some genuinely moving scenes and the relationship between the three men feels honest and real. LAST FLAG FLYING screens at the BFI London Film Festival on 8 October 2017 and is released in UK cinemas on 26 January 2018.